Our range of products include four loops bags, fibc bags, customized bags, jumbo bags and single loop bags. Within the short time period, we are engaged in manufacturing, and supplying an excellent grade Four Loops Bags. 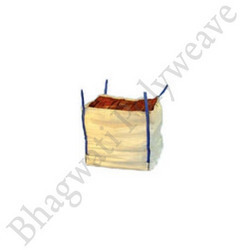 These bags are used for packing various types of cereals, dal and rice on demands. Manufactured adhering to food industry standards, the offered bags are found safe for food packing items. Provided bags are made available in a variety of sizes to the clients. The available sizes are 200g, 500g, 1000g and 50Kgs. Clients can provide their own custom requirements, and our unit is well equipped in taking and delivering custom order on time. Flexible Intermediate Bulk Containers FIBC Bags commonly known as BIG BAGS are the most popular form of bulk goods packaging in the market. BIG BAGS (FIBC BAGS) are used for the transport and storage of all types of loose or granulated materials. BIG BAG (FIBC BAG) flexible containers are available in a wide variety of types and sorts and therefore are suitable for numerous applications in the chemical, food, mining and fodder industries - to name just a few. Customized Bags can be produced according to specific customer specifications and for special applications. A variety of designs, sizes, gsm are available. reinforcement can be done for additional safety requirements. Our products are used for packaging sugar in various places and easy to use. Furthermore, our products are highly demanded in the market for their fine finish. For timely delivery of these bags, we have established and maintained a huge distribution network. Jumbo Bags are common in the market all around. This is an open mouth bags with flat bottom and with four loops design and very ideal for lifting, filling and transportation. 90 x90 x 90, 90 x 90 x 110 are two very common sizes available in the market. These are commonly known as big bags, jumbo bags, bulk bags and mail bags, which are used for transporting various types of materials including cartons. Besides these, our products are quality approved. 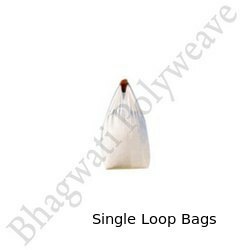 We are successfully ranked amongst the trustworthy organization offering a wide range of Single Loop Bags. These bags are manufactured using a variety of materials and in accordance to set industry norms. 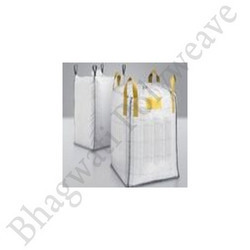 Such fabrication assists in making the bags reliable and adds high durability properties. The given bags are used in loading, packing and storing cement, sand and other building construction materials safe. Strong lamination and digital printing make the bags attractive and strong. Clients can also ask for custom bags as we have equipped our manufacturing unit with innovative technologies for fabricating better bags.